Walk Nicaragua is a joint venture between OneWorld Health and Dr. H. Del Schutte of the Charleston Institute of Advanced Orthopedics (CIAO) to provide Total Joint Arthroplasty and other orthopedic surgical services to the citizens of Nicaragua. 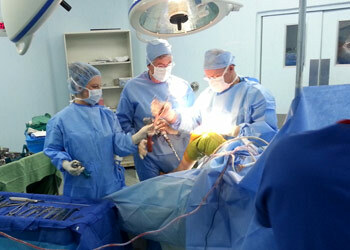 Together they are collaborating with Dr. Uriel Diaz at Hospital San Juan de Dios in Esteli, Nicaragua with the goal to establish an annual/biannual surgical mission trip(s), which will also be supported by monthly clinic service, residency training and continuing education for Nicaraguan clinicians. 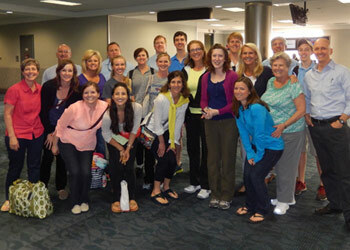 Our inaugural surgical mission trip was April 26 to May 2, 2015. We exist to transform communities by improving the quality of accessible healthcare through a model of empowerment and sustainability. OneWorld Health is revolutionizing the approach to medical intervention in the developing world by moving beyond relief to achieve long-term improvements in health. In a world where nearly half the population lives on less than $2 per day (Source: UN, 2013), socialized healthcare systems are overcrowded, poorly equipped, and underfunded. OneWorld Health is bridging the gap between ineffective, socialized care and unaffordable, private care. By creating sustainable medical centers that offer low-cost services, OneWorld Health is able to increase accessibility to high-quality healthcare and empower communities for a healthy tomorrow. Our vision is to see impoverished communities take ownership in a sustainable healthcare model, so that they may become empowered to bring about long-term change and tangible improvements in quality of life. Furthermore, it is our desire to provide allied healthcare professionals and students the opportunity to impact the lives of people in need across the world.